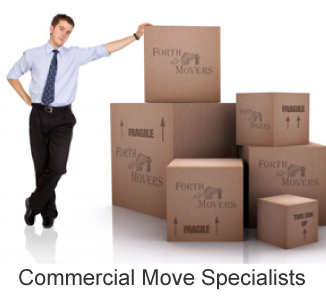 Forth Movers are experts when it comes to organising entire office relocations, whether large or small. Our removal strategies are well planned because we understand how important it is for an office relocation to be a smooth and seamless experience all round. We pay close attention to detail which combined with our extensive experience in the commercial removal business, makes our services second to none. 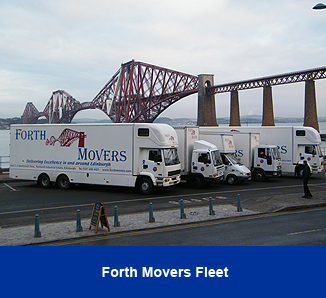 Our Edinburgh commercial removal service carries full insurance. All office equipment and possessions are handled with the utmost care by our highly experienced staff. However, should any damage occur during the removal process, the items will be fully covered by our company insurance. Our dedicated teams offer an expert packing service and if required can unpack all files and paperwork on arrival at the new office premises. This makes the transition from an existing office environment to the new one a seamless experience causing minimum disruption to normal business routines wherever possible. We take great pride in our extensive resources which in turn means we can offer all our customers a flexible, top quality service whether the job is a large, medium or small office removal or a big hotel contract that involves specialist relocation advice. 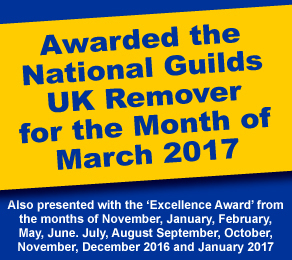 We take great pride in being long standing members of The National Guild of Removers, and offer a friendly, flexible and professional service that is second to none. 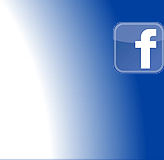 Our commitment to excellence guarantees that our services are carried out to a very high standard. Our employees are well trained and polite offering peace of mind that prized possessions are in the safest of hands during the entire process whether it's an Edinburgh commercial removal or one that's further afield.